First place in the initial stage group contrary to expectations; success against Japan, the second seeds, was the result of note. Later, a quarter-final win in opposition to Chinese Taipei, the fifth seeds; on Tuesday 28th August at the 2018 Asian Games in Jakarta, Indonesia, DPR Korean progress continued. 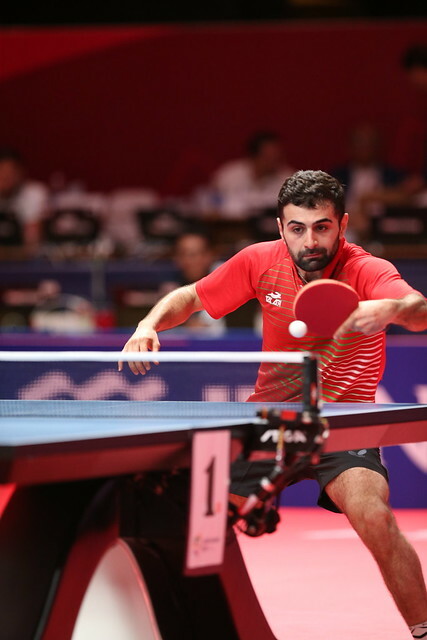 Once again they upset the order of merit, once again they rose to occasion, the seventh seeds, they beat Hong Kong, the fourth seeds, by three matches to nil; a score-line that was repeated in the counterpart semi-final but as status advised, China accounted for Korea Republic. A three-nil win for DPR Korea but arguably the score-line was closer than at first sight the result may suggest; two of three matches went the full distance; the other was decided in four games. Kim Song I set DPR Korea on the road to victory. She beat Lee Ho Ching (12-10, 11-2, 4-11, 11-6), before Cha Hyo Sim overcame Doo Hoi Kem in what proved the decisive match of the contest. Cha Hyo Sim won by the minimum margin in a tension packed contest to turn the tide (11-8, 7-11, 11-8, 7-11, 14-12). A major boost for DPR Korea, in an almost equally closely fought engagement, Kim Nam Hae prevailed against Minnie Soo Wai Yam, to end proceedings (11-9, 10-12, 11-3, 9-11, 11-6). Hard fought exchanges, for China, the top seeds, life was less exacting but Korea Republic, the third seeds, proved worthy opponents. Zhu Yuling commenced matters by beating Jeon Jihee (11-7, 11-5, 7-11, 11-5), before Chen Meng overcame Choi Hyojoo (11-8, 11-6, 11-8) and Wang Manyu accounted for Suh Hyowon to seal the victory (11-7, 3-11, 11-9, 11-9). Defeat for Jeon Jihee but she was philosophical and overall reasonably pleased with the efforts made. The final of the Women’s Team event will be played later in the day, in the evening session of play.